These are exciting times for HfS as we expand our global remit to build out an analyst team with a powerful combination of research skills and real life "feet on the street" outsourcing experience. Since we launched HfS six months' ago, our prime area of focus for business growth has been with the buy-side practitioner who needs solid, expert advice on how to tackle outsourcing, which service providers they should evaluate, and how to find "new thresholds of performance" once they've moved into an outsourcing end-state. They want us at the end of a phone, to turn up for workshops, to distill data and explain what this all means to them, and validate what they should do next. We are delighted to announce that one of the most highly-respected (and popular) outsourcing advisors has decided to make the career switch from consultant to analyst and join HfS to head up our buy-side sourcing strategies practice. No more endless billable hours trudging hallways in enterprises labelled as the "outsourcing guy", Esteban Herrera can now give HfS clients the real deal based on his years of vast experience, where he has lived and breathed every aspect of the complex outsourcing environment. Esteban joins the HfS executive management team as Research Vice President for the firm’s strategic sourcing practice for buy-side enterprises. Herrera will drive a definitive research agenda that encompasses strategic advice, best practices and governance support across all aspects of IT outsourcing, BPO and shared services. He joins HfS from leading outsourcing consultancy Alsbridge, where he served as Managing Director, overseeing several major ITO and BPO contract negotiations and strategy endeavors with global enterprises. Prior to Alsbridge, he served as President of NovaSphere Group, and an Executive Vice President at The Concours Group, where he led both the Sourcing Advisory Services and Global Shared Services practices. He has also held executive positions with both Infosys and Accenture, where he managed large global delivery P&Ls. Today he is a recognized thought-leader on outsourcing strategy and highly sought-after by clients needing expert advice. 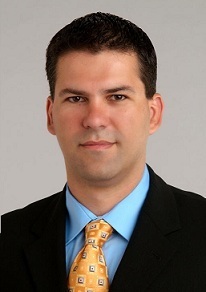 Herrera brings deep international experience to HfS clients, having lived and worked in four continents. He is fluent in English, Spanish and Portuguese. He also co-authored the influential book “Outsourcing: The Definitive Point of View, Applications and Implications”, and led the landmark Research “Life After Outsourcing”, which was the first to focus on the behaviors and processes that can make or break outsourcing success. Esteban is also a prolific blogger and writer - a great table-stake for life on this side of the fence. Now he has sold his Porsche, his chief pastimes involve his wife, Patricia, and baby son Lucas, and when he's not wasting his time watching the Dallas Maverick's he can be found tuning into the Speed channel to watch Formula 1 motor racing. We're delighted to have him start with us shortly - and you can reach him at esteban dot herrera at horsesforsources dot com. Esteban is one of the most respected "up and coming" advisors. Is his move to the analyst side a further sign that the advisor market is deteriorating? @Rob, Thanks! It is a fantastic team and I am honored to be a part of it. @Just C. Thanks--while the deterioration of the advisor market was not the reason for my move, as per my new post (http://www.horsesforsources.com/esteban-herrera_explains_090910) I do see a need for the advisors to shake things up. Intermediaries always have to deal with the trheat of being disintermediated, and I think the advisory business is clinging to business models that made sense five years ago, but maybe not today. Congrats, Esteban (and HFS as well)!! Esteban is a consummate professional, a fantastic communicator and, as importantly, a great guy to chat with over a beer. Good luck with HFS, Esteban, I've been a reader forever. You've joined a great team and one that appears to be a good fit with your personality. Stay in touch! Congrats HFS and Esteban! I look forward to lots of thought provoking research and information to make all of my clients' deals go a little smoother. Thanks, Dawn. That's what we are here for! This is awesome Phil! Congrats to both of you. This is an awesome concept and truly where you are intended to be! Your ability and passion to stay ahead of the curve and articulate trends that will benefit business customers, advisors and service providers alike will be revolutionary. I hope HfS knows what kind of horsepower they got when they convinced you to join the team! I've enjoyed working with you over the past four (would you believe it?) years and look forward to seeing what you'll do next to shake it up and drive the industry forward!